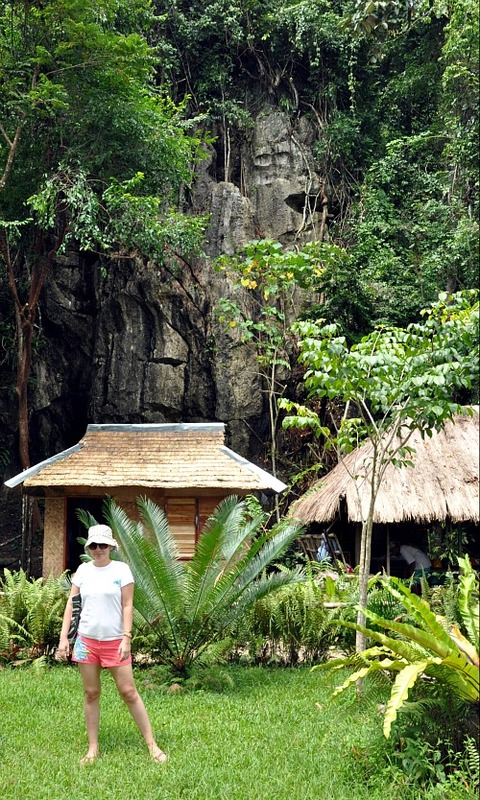 For the pure nature lover, Palawan is the place to go. 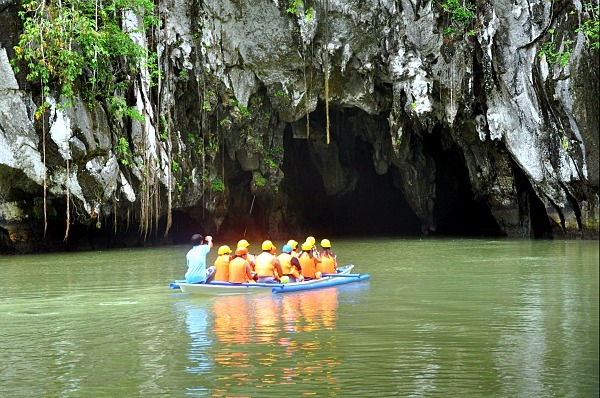 A three to four day-tour is not enough to explore the whole of Puerto Princesa, its capital city, what more to explore Palawan’s most pristine beaches and splendid dive sites like the Tubbataha Reef, located southeast of Puerto Princesa? 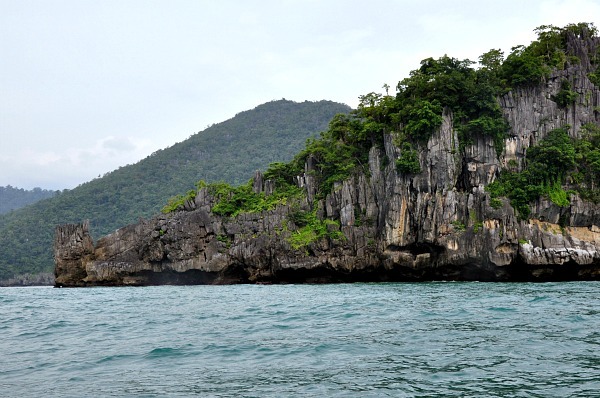 One will possibly need a year to unearth the wonders of the Palawan Islands. It’s like a whole new world, where everything seems large and abundant. 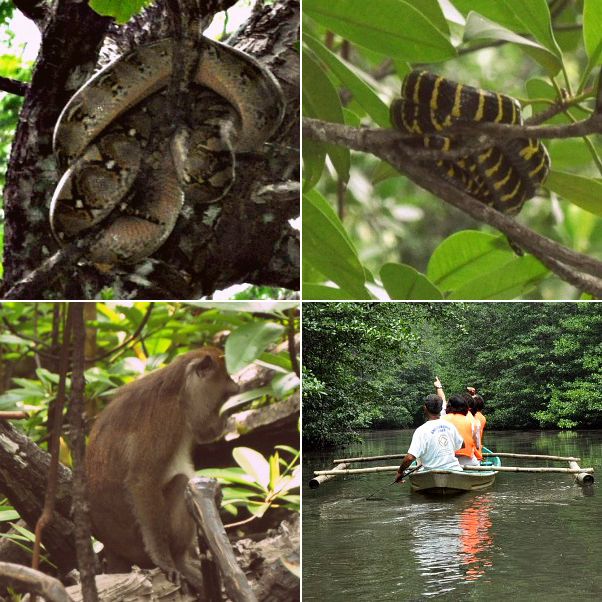 On our second day in the city, we journeyed to Sabang, into the wilderness, to get the heart of Palawan. 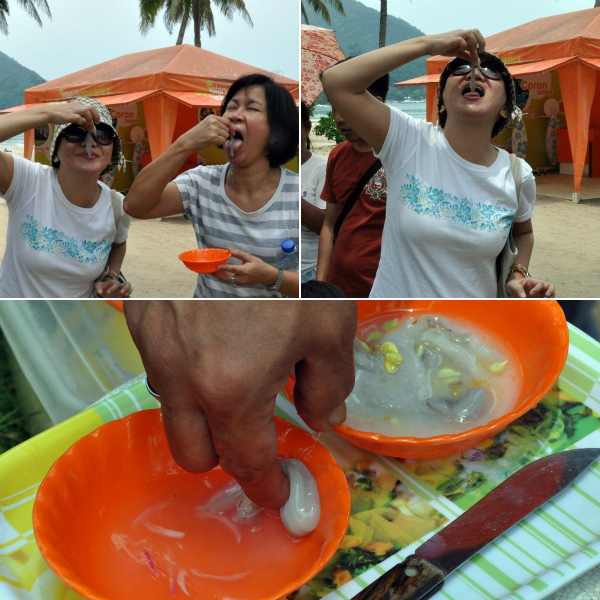 Before embarking on this trip, I told myself never to try the infamous tamilok, a worm that thrives in dead mangrove wood and the ultimate food to try when in Sabang, the gateway to the surreal Puerto Princesa Subterranean River National Park in the St. Paul Mountain Range. The tour guide pointed to a hawker with a basket of tamilok. I ran straight to take a photo. The tamilok doesn’t look anything like worms. It is long, but I don’t think calling it a worm is pretty accurate. It resembles a pusit (squid) tentacle and is not intimidating at all. All right, I gave it a go. It is jelly-like and tastes like oysters. Not bad. The chick of a balut is fifty times more frightening. 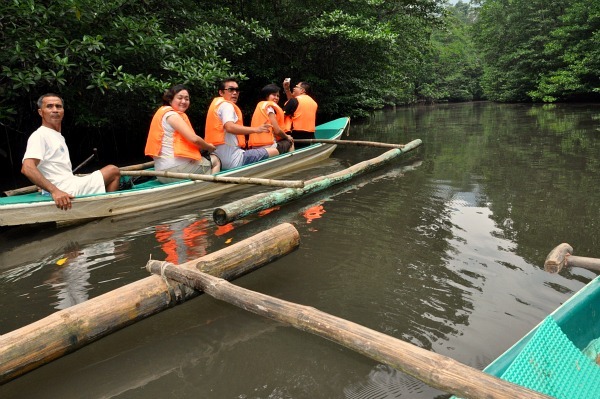 Bing Ortega, our river guide in the Sabang Mangrove Paddle Boat Tour, explained that the size of the hole in a dead wood is also the size of the tamilok that lived in it. We saw a piece of wood with a burrow the size of a baby’s head. That would be the scary tamilok and a gallon of suka (vinegar) just might not be enough to disinfect the woodworm. 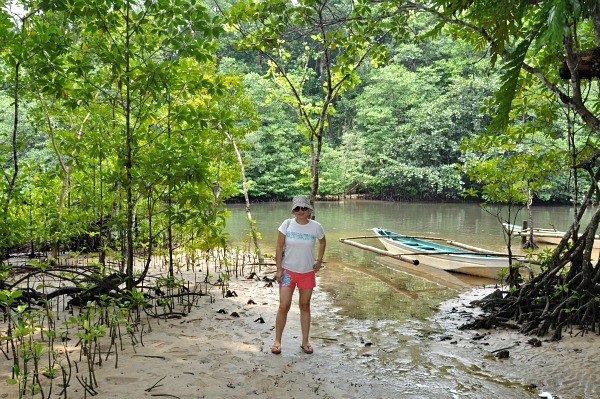 After a simple yet filling lunch at the beach, we then proceeded to the mangrove forest in Kabuyugan. 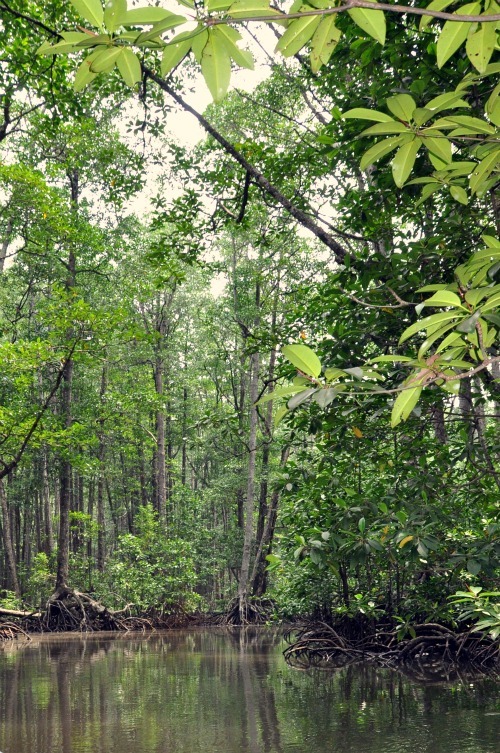 Although they appear odd and old, mangroves are my favorite trees. There’s an air of mystery about them. 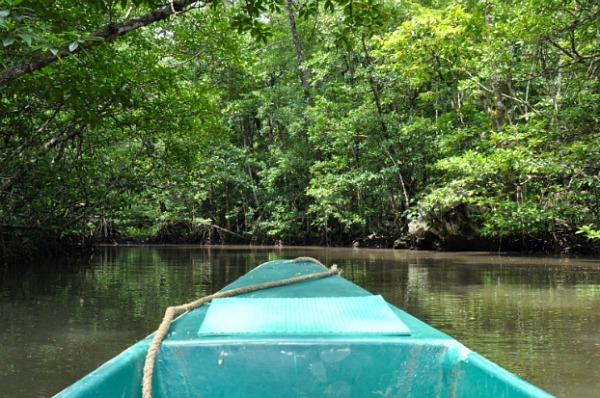 The area is about two hectares of mangrove trees, among them the species Rhizophora apiculata, Rhizophora mucronata and Bruguiera gymnorrhiza, many of which are two centuries old. 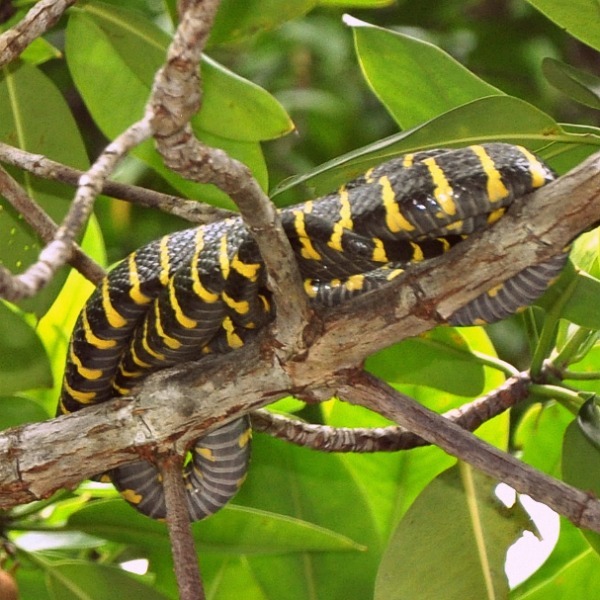 It is believed that Palawan in the olden days was dominated by towering mangrove trees. There’s a certain degree of awesomeness in the river forest. 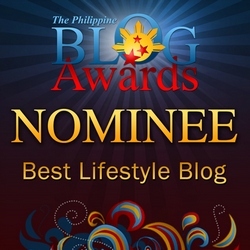 A fleeting silence… sounds of the boondocks… scenes out of the ordinary — just primeval. Tourists teemed the wharf. 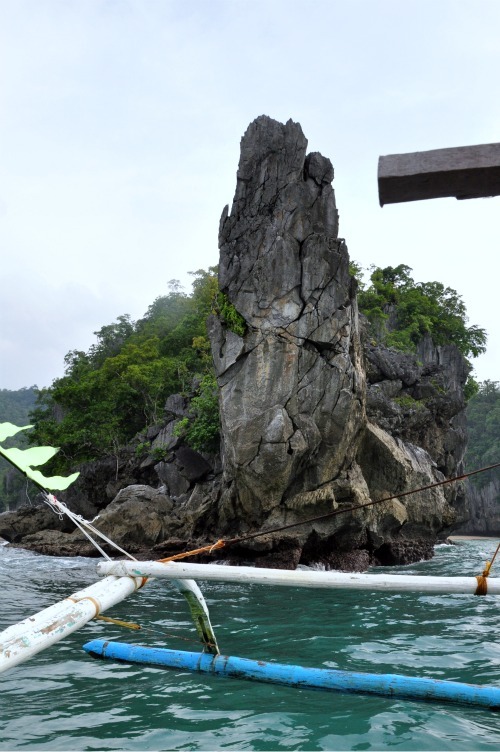 It was getting dark when we finally boarded the boat that transported us to the entrance of the underground river. The sublime limestone karst mountain landscape is a visual treat. I would not stop clicking the camera shutter. 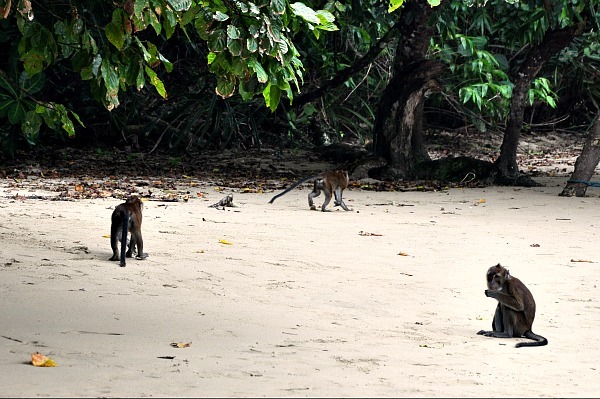 The park’s welcoming team comprises monkeys and monitor lizards. 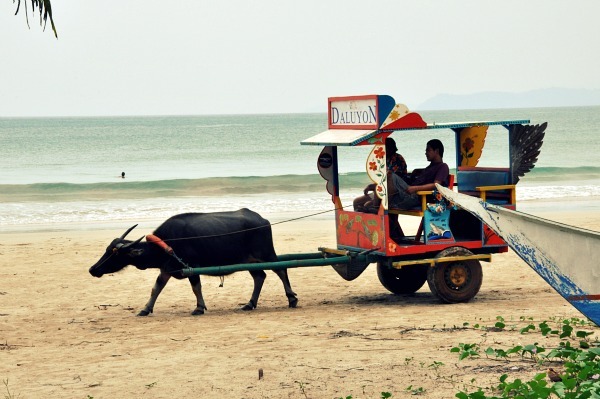 Just like the people of Palawan, they are warm and cordial. Great picture Maam Tina. 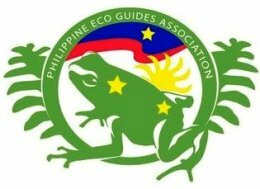 Yung ahas po ba sa itaas ng mga mangroves/puno? I can only imagine habang nagbo boat biglang mahuhulog sa ulo ko hehe. that was how i felt. baka biglang lumipad. i experienced that one time in Adams. the viper was green, kakulay nang leaves. parang mas mamamatay pa ako sa takot. those snakes are different though:) thanks, Sherene. you are daring tina.i dont know if i will eat that tamilok.just by the looks alone i am already squirmish. you gotta love Palawan, Tita. the sights are a feast for the eyes. if you love snorkeling, they have great sites. the tamilok tasted exactly like oysters, heheh. Palawan! 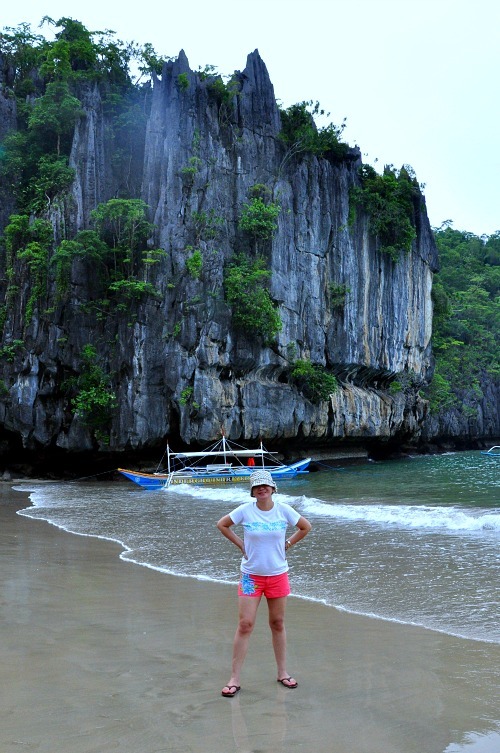 Palawan… a mystical glory of Mother Earth…. After your trip… I bet, you felt more spiritual than ever…another close encounter with Mother Earth’s blessings. we learned much from the trip. people should visit natural places more often. a natural high! 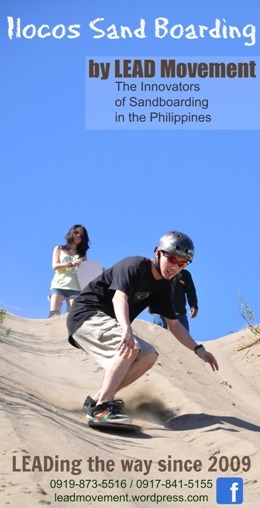 You are really brave! I’d like to link your post to one I’m doing on tamilok – I was too chicken to eat it raw – I only tried it breaded and crispy-fried.